Dr. Thomas A. Coleman D.D.S. Clinical Dentist, Researcher, Dental Educator, and Author of Research Publications. 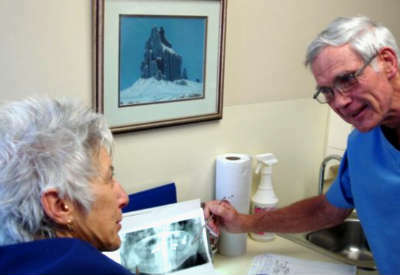 Clinical dental practice was my professional dedication for nearly four decades. During that time contributions were made in the form of research, dental literature publication, and professional education. Now effort continues to advance dentistry's knowledge of masticatory system oral health. The content of this introduction is intended to stimulate your interest in Cervical Dentin Hypersensitivity (CDH), abfraction, and noncarious cervical lesions (NCCLs). Personal professional contributions have included several publications, on-site research, a long-term evidence-based study, national lectures, and a chapter in a digital occlusal analysis Handbook. An IGI on-line CE video on research topics did appear in January 2017. Concomitant construction of a textbook on these topics is also underway. It is my pleasure to share gained knowledge with dental colleagues. I can be reached at [email protected] or by phone (802) 862 6698 for contact.